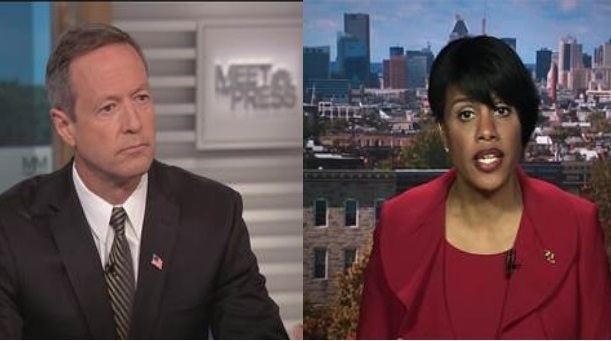 Photos above: On NBC’s Meet the Press Sunday, former mayor and governor Martin O’Malley and Mayor Stephanie Rawlings-Blake. Over 100,000 arrests were made one year (in a city of 650,000). O’Malley also embraced New York City’s statistical analysis, renamed Citistat, to pinpoint crime hotspots.